Masonik is a multi-disciplinary arts collective. Masonik has performed in various venues since 2006. 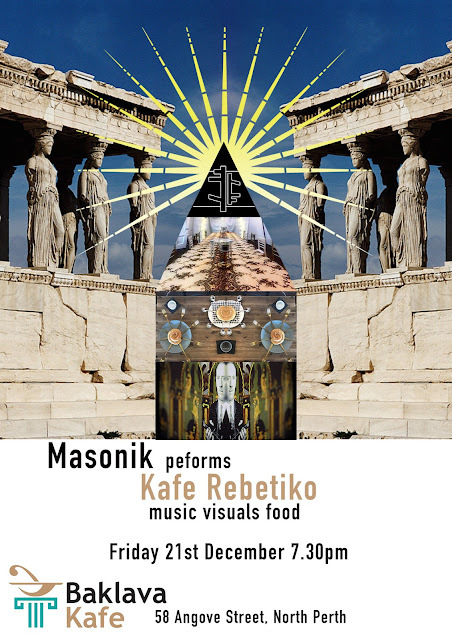 Masonik’s live performances draws from a huge variety of sources including spoken word, world music and film. Masonik combines art works, live instruments, custom vinyl cuts, world sounds, beats, ambient textures & video projections. Masonik offers rich immersive sounds, uniquely matched with live, dimensional video image textures. All songs are original compositions & arrangements. Masonik is immersed in graphic design, photography, sculptural works & installations. Their artworks have been exhibited nationally & internationally.